The final midterm results show just how polarizing Trump was to the electorate. Are Ohio and Colorado no longer swing states? 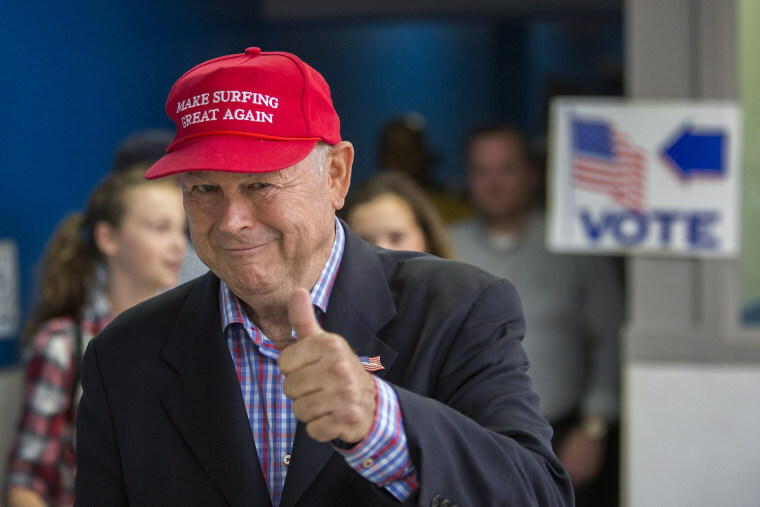 CA: The Los Angeles Times looks at the GOP wipeout in Orange County. FL-SEN: Bill Nelson has conceded. The tensions over the recount could bode poorly for 2020. Broward elections supervisor Brenda Snipes has resigned. Rick Scott is the fifth person to win both the governorship and a Senate seat in Florida. GA-GOV: Stacey Abrams won't call Brian Kemp's victory "legitimate," but she says it's "legal." Abrams says she plans to run again for office. TX: The Texas candidates who barely won in 2018 will be top targets in 2020. Top donors want Beto O'Rourke to jump into the presidential contest, POLITICO writes. "Identity politics" may be the name of the game in 2020 for Democrats. Trump blasted retired Adm. Bill McRaven — who has been critical of the president — for failing to catch Osama bin Laden sooner. The comments about McRaven could alienate an important part of the military community. Here's our team's wrap on Trump's "little Adam Schitt" tweet over the weekend. Trump says he won't listen to a "suffering tape" of Khashoggi's murder. Why is Trump sticking with the Saudi prince despite mounting evidence of his involvement in the killing? Where did Trump get the idea that Finland rakes its forests to prevent fires? Trump's program to help farmers hurt by the trade war hasn't done all that much, the New York Times writes. THE DEM AGENDA: Is there really a Plan B to Pelosi? The New York Times looks at why Democrats haven't been able to settle on a clear alternative to Nancy Pelosi. More moderate Democrats are pushing back on calls to investigate every aspect of Trump's presidency. Democrats want to try to salvage the CFPB.